Along with my family I was in residence at foam for three weeks in October 2013, firstly at Castello Parenzana near the legendary town of Motovun in Istria and then amidst the urban landscape of Brussels. In company with my five month old daughter Florence and together with Maja Kuzmanovic and Nik Gaffney, I investigated ancient and contemporary myths formed from making meaning of natural disaster. My husband Matthew and four year old daughter Miranda contributed to the project remotely from home in the Adelaide Hills in Australia. 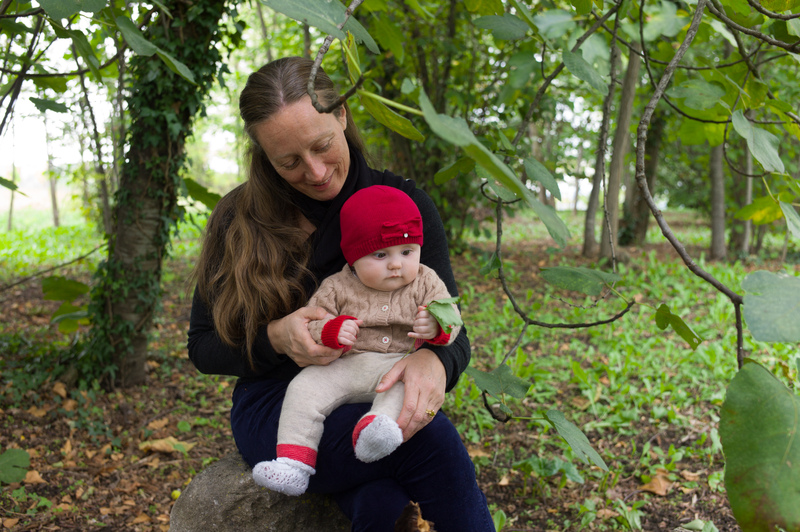 Miranda shared her understanding of the natural world through creative storytelling and painting and Matthew participated by responding to the concepts emerging at Castello Parenzana through an exploration of sound. This project has been on slow boil for me for several years. I have struggled to contextualise my research within the contemporary dance or theatre worlds and feel that this project has been finally seeded in suitably fertile ground within the cultural laboratory of foam. I have enjoyed a couple of successful collaborations with Nik Gaffney in Adelaide in the late 90's and with this project it seemed like the right time to pick up the collaborative thread. My husband Matt also collaborated with Nik in the past and was looking forward to participating in the residency in Croatia along with Miranda. However, when state funding fell through our family had to ecomimise and we decided that Florence and I would travel to Europe and Matt and Miranda would contribute to the project remotely via daily skype meetings and email. The area of research stretches over the fields of history, psychology, botany and anthropology. Artistic forms put into play include photography, story telling, poetics and theatrical improvised movement. This project is based on ancient world fables that spring from anxiety about the future. I am investigating the time old tradition of looking back to look forward. Hence, mining mythology to decree the future of a conflicted world anchored in the anxieties of our times. Nowadays with climate change on the political agenda and summers becoming hotter, there is a real fear emerging about the future of the globe. Hail in Melbourne CBD in March might once have been interpreted as the wrath of an angry God. Delayed flights in Europe due to the explosion of the Icelandic volcano are named by insurance companies as, “An act of God.’ The question is how does the superstitious imagination make sense of all this? Why is the volcano angry and why are the summers too long? I am extremely interested in the sublevel panic that pulses through current media hinting at a dire future of floods, famine and fires. It triggers reasoning inspired by practical knowledge about the impact of greenhouse gasses and the evolution of natural disaster along side creative narratives born of moral blame. By referencing past myths through a highly contemporary lens, we can assure ourselves of our ongoing capacity to deal with and understand natural and social disaster through our imaginations and creativity. The aim of the project is to work with a concept and series of methodologies that can be extended in multi-platform processes and outcomes. Potential outcomes might include; live performance, enacted scenarios, a photographic study, a community workshop and a lecture. 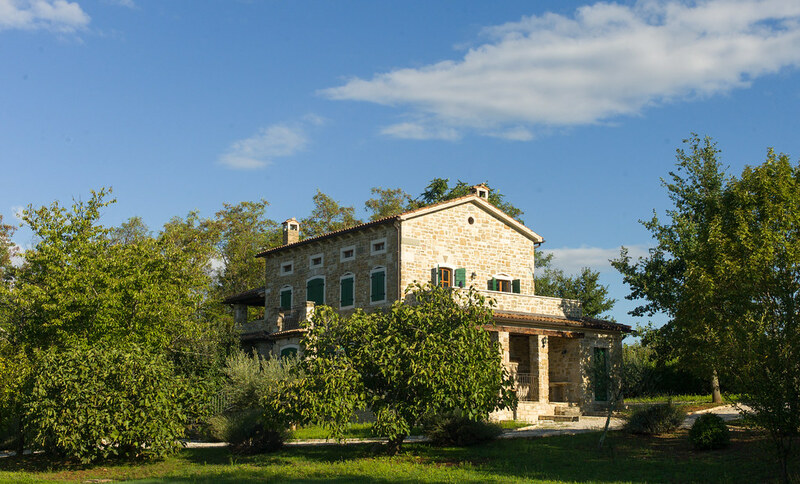 This residency was situated in a house amongst vineyards in an old part of Istria. Florence and I were among friends and we are all highly motivated individuals. Therefore we began an informal discussion that developed over a week, with ideas becoming more focused over time. Simultaneously we continued to expand our scope of research as we shared our knowledge and experience and chased down leads. Whilst not consulting literature or media we firstly located our own knowledge and feelings about climate change and the stories that have and could emerge to make meaning of this. From this we narrowed the area of interest from classical mythology to weather lore. In line with my research practice, this led to the construction of creative tasks which then informed the formation of new questions and follow up tasks. This residency was structured to include my whole family so my husband Matt contributed a sound score and our daughter Miranda sent drawings and stories in response to the creative content generated. 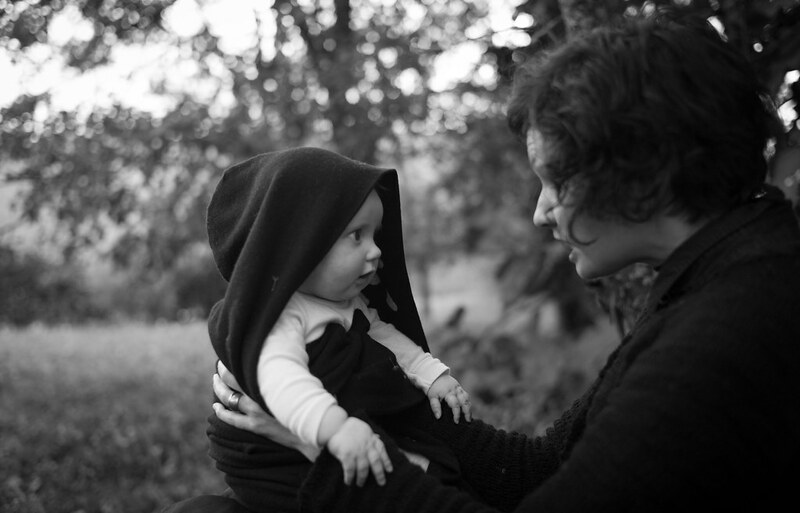 Foam founders and collaborators Nik Gaffney and Maja Kuzmanovic, not only contributed creative ideas and creative content but also picked up the ‘hard to do with a baby in your arms’ tasks like note taking and documenting. Working around the sleep, feed, play schedule of a baby meant that the methodology needed to be flexible and not fixed in time. Whilst this meant that ideas and tasks were sometimes left unfinished until a later time, everything remained in focus and most tasks were completed.The method of informal discussion allowed for the consideration of Florence but it is also a way of eliciting a personal and felt response to the range of ideas. By listening and questioning others and ourselves we managed to narrow the field of interest and begin to play with creative content. In Linz at Time's Up, I took part in the workshops for the Future Fabulators kick off meeting in Linz. By participating I was able to consider how the workshop might be adapted to work with communities in Australia. In Brussels I engaged in a discussion with Rasa Alksnyte about possible future developments of the project in respect to performance/ dance/ theatre and participatory performance. Tradition must be a springboard to the future, not an easy chair for resting. My intention for the residency was to seed the main idea, clarify concepts and locate a visual representation of these first points of reference. Over the three weeks this was achieved and more, thereby exceeding my expectations.The research process was by necessity an unknown as it was in the first instance collaborative and methodology needed to be felt out in consultation with everyone involved. Secondly, I had not worked before with an infant in my full time care so the pace of the research was always going to be in question. I feel that in consideration of these variables as well as the addition of jetlag, the methodology optimised the focus and energy of the group for the best results. The collaborative process built on the history of my past collaborations with Nik. The direction of the research was driven by me with the inclusion of interruption and re-interpretation by both Nik and Maja. The collaboration also extended to the care of Florence and the day to day activities in the house. The research as it stands has just begun. I intend to develop the ideas back in Australia whilst looking for opportunities to structure the findings into creative outcomes.There may be opportunities to present incarnations of this work within the Future Fabulator's program or other events or festivals in both Australia and Europe. I intend to update the following people and organisations with my progress: foam, Time's Up, key partners involved in Future Fabulators, Sophie Travers IETM, Dario Vacirca Open/ Space. Back in Adelaide I am keen to work with performers to create scenarios based on historic proverbs/ future proverbs. Photographs like the ones we took at Parenzana may be a starting point. I would like to try looking at creating theatrical moments that are styalised and that might transcend time and or place and juxtapose more natural non performative scenes that are specifically representative of now. I am quite clear that this does not need to resolve into a 'complete work' or play, but rather the resolution of moments might take on a form of its own. I have been interested in working in Mt Gambier on the theme of the threat of natural disaster for some time now. I grew up in Mt Gambier, at the foot of an active volcano so I am quite aware of how this experience has led me to the ideas I am now chasing down for this project. The essence is in how to create stories to dispel innate fear connected to survival. I am considering utilising the forecasting tools from Future Fabulators workshop to connect with regional communities in South Australia, particularly Mt Gambier. I would also like to design a discussion around “ The Sun Is Different Now” and let this lead to another layer of storytelling about the environment. In respect to investigating the potential of geographic shift, I would like to create photographs that include The Child, The Mother, The Storyteller in another environment.This might be an opportunity to work further with the ideas for a recorded story and fictive narration.I consider this study to go hand in hand with the research into old and new proverbs. Before working on all of the forms above I feel that it would be beneficial to follow up all research leads from the residency and calibrate an argument resulting from the various lines of related sub-interests with visual illustrations to explain future development. This presentation would aid me to seek further support for the project, clarify my ideas and be a stand alone outcome to share with the public. Nik and Maja would be interested in working with people in Adelaide who have improvisation skills (performance, theatrical or political) to further develop tools and training for prehearsals. The beauty of the family in residence at foam is that the foam team lends itself as an extended family. As I was traveling without my husband or my extended family who have been very hands on in assisting me with a new baby, The help that Maja and Nik were able to give me was invaluable. Not only did they assist me with the day to day practicalities of cooking, washing and domestic planning but also the 'hard to do with a baby in your arms' work tasks like note taking and documenting. I do not know what i would have done without them. In my experience working in the arts cannot by design be a selfish pursuit, so there has not been a giant shift in perspective in my life now that I am responsible for a baby. Just as in the art world, where teams of people work together, the responsibility of caring for Florence is not mine alone. My husband is informed and involved in everything Florence and I do and his opinion along with the point of view of Florence’s Grandparents and wider family is always considered. My work has always depended on working closely with other artists, whilst simultaneously working one or two full-time jobs outside of the arts to support my practice. It goes without saying that if I didn’t always have a sense of others in the world then collectives would fail, partnerships dissolve and collaborations would bomb. Once again, at foam the artistic collective/ extended family model is paramount to the time and management of creativity. I am not doing any of this alone. All in all I am arriving home with a creative vision dreamed up, a new network of futurists met, a very creative collaborative experience and a world of possibilities to develop my work through avenues opened in Europe. For Florence I hope she has gained a sense of herself in a larger world, a tolerance of travel and somewhere deep in her conscience the knowledge that the world is full of creative and strong personalities who can envisage a fantastic future. For Miranda I hope she learns that no matter where I travel and for how long, I’ll always come back (and perhaps next time she can come with me). More importantly I know Miranda realizes that wherever I am, my life includes her and I cherish her involvement in my work. For Matt, we both know that creative collaboration is part of the glue of our relationship, whether that be formalized in an artistic collaboration or the creative stuff of flexible parenting.